When searching for a handheld PDA for use in the field, there are a few key features required to meet the demands of a rugged environment and be effective in streamlining workflow efficiencies. These include keypad configuration, processing power, and the right operating system. 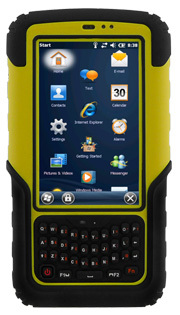 Winmate's state-of-the-art rugged, mobile devices offer flexibility with several keypad configuration options multiple operating systems and robust processors for rapid communications. In field data collection, touchscreens can be challenging to operate, particularly with gloved hands. 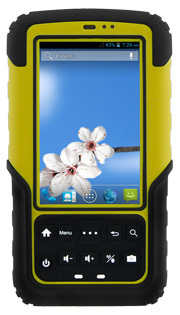 Winmate PDAs are specially designed for field data collection. One notable feature of the S430 that defines the device is its physical keypad, with large, easy-to-use buttons that don’t rattle and provide a tactile click sound for quick, simple entry of important information. Available options include alphanumeric keyboards, a QWERTY layout or user-assignable keys. Other key features include flexibility in operating systems, robust processing power, embedded peripherals, and ultra-rugged design. Winmate's S430M4 rugged handheld PDA integrates the latest Android 4.2 operating system while the S430T2 runs Windows Embedded Handheld 6.5 and Windows CE 6.0. Processing power for the S430T2 comes from TI Cortex A8, while the S430M4 operates on the 1.5GHz Quad-Core Cortex A7. Peripherals include RFID readers and barcode scanners, to streamline workflow efficiencies. Sealed to IP67 and MIL-STD-810F compliant, these handheld devices are ready to go to work in even the most challenging environments.